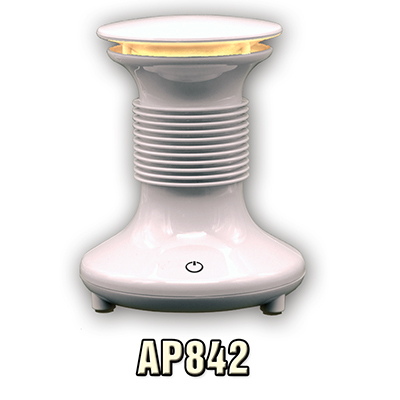 Air Purifier - Model AP-842, is a new developed Plasma Ioniser, effectively generate numerous positive and negative ions to purify and sterilize air. Built in Fragrance Dispenser with pleasant smell immediately freshens the air. Clean the air of microscopic irritants like : Pollen, Dust, Bacteria, Odours, Mould spores, Insecticide Dust, Animal dander, Fungal spores, Soot, Fibres, Tobacco smoke, etc.